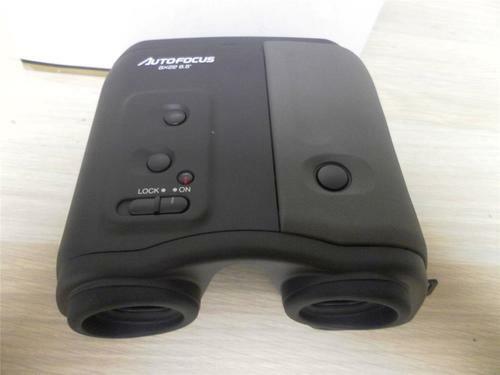 Auto focus binoculars are unfortunately a rarity in the optics market. When you need instant focus, traditional binoculars are sometimes not enough. Usually, a good pair of binoculars will stay focused from a range of 80 feet onward, minimum of 40, offering a great depth of view (Source). An auto focus binocular is any binocular that does not require to be focused in order to be used. However, most auto focus binoculars aren’t equipped with adjusters to compensate for individual differences. This aspect is covered in our “What to look for” section. Please keep in mind that auto focus binoculars are not meant for close up viewing. They’re great for hunters and birdwatchers, but not for all hobbies. Our first choice performs perfectly in low light conditions. Nighttime observations and observations during twilight require larger optics to gather as much light as possible, but big lenses alone are not sufficient to ensure a great viewing experience. These large-aperture Echelon series binoculars are ideal regardless of whether you’re gazing at the sky at night or across a field or valley. The exit pupil measures 7 mm, providing the most light your pupils can accept. What is more, this item offers the lowest magnification of all the models in the Echelon series, giving it the widest field of view. Details are crystal clear. This is a good choice if you are new to high-power, large-aperture binoculars, as it will be effortless to acquire and follow your subject. The 10×70 binocular lenses are made in Japan. Superior BaK-4 prisms were selected for the best possible contrast and sharpness. All air-to-glass surfaces have optical multi-coating with Celestron’s proprietary XLT, the same high transmission coverage used to enhance resolution and contrast on observatory-grade telescopes. 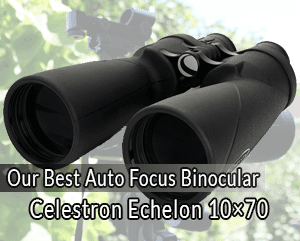 Celestron Echelon binoculars are assembled manually in Southern California by experts. The housing of the item is made of aluminum alloy, keeping it light, yet strong, which is crucial when considering a big binocular purchase. The housing is covered with durable rubber armor for a slip-free grip and shock protection. These binoculars are fully waterproof and are nitrogen-purged to seal the optics against fog, dew, and other forms of moisture. This means you can use your Echelon binocular in damp conditions without having to pack up and call it a day when unexpected weather makes an appearance. These binoculars are delivered with a high-quality waterproof hard case to protect effectively against moisture, dust, and rough handling. The molded foam insert houses the binoculars perfectly. An individual eye focus system is used, enabling the wearer to rotate each eyepiece to set the proper focus for his left and right eye. Once this is done, you can use your binoculars immediately. It is easy and fast to adjust the focus if you’re sharing these. These Celestrons are completely fog and waterproof. They’re perfect for professionals seeking a high quality pair of binoculars. A tripod is adaptable for extended observing sessions or for shared observations. All in all, the price is the only disadvantage of this model. 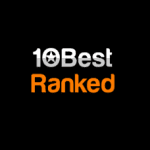 Our number 2 is another Celestron – they’re just the best, what can we say. The Calvary 7×50 binoculars offer brilliant auto focus. They have an inbuilt digital compass and marked reticle, GPS with coordinates and elevation that can viewed from the LCD screen, and have nitrogen water and fog proofing features. 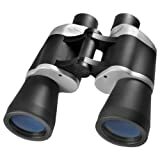 These binoculars are high-class, making them best suited for hunters, boaters, police officers, and other professionals. This model features BaK-4 prisms for high resolution and contrast for sharper, more detailed images. The fully multi-coated optics deliver maximum light through the optical path for brighter, highly detailed images. The integrated reticle helps the user calculate the distance and the size of the objects he is viewing. The binoculars are also waterproof and fog-proof and can thus be used in all weather conditions. These binoculars can be attached to a tripod for long viewing sessions. They offer an extremely wide field of view. You can acquire the subject being viewed fast and follow it easily as it moves. This makes this model a favorite among military personnel. Designed to withstand the elements, the housing of the Cavalry is protected by durable rubber armor, ensuring the possibility of hard, long-term use while making the binoculars easy to grip. They are extremely rugged and durable. The drab olive color offers superb concealment in the field. Cavalry offers professional features as an optical instrument, going above and beyond the fully multi-coated optics for excellent light transmission and high-grade BaK-4 prisms. This model is a useful tool for anyone out on the water or in the field with its huge 50 mm objective lenses. Our third choice is this model of the Bushnell PermaFocus series. The brand is renowned for their quality products. The PermaFocus 10×42 binoculars have a rubber non-slip grip and fully coated lenses. The perfect buyer for these binoculars would be a birdwatcher or hunter looking for a durable, well-priced pair of binoculars. These binoculars come in camouflage or black. Value and convenience come together in one user-friendly package. Their focus-free operation is preset – all the user needs to do is aim, and the subject comes into clear view. Thanks to its wide view angle, the 10×42 model is very appropriate for stadium sports with a great distance from the field. 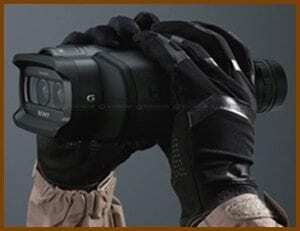 The item features a whopping 305 feet field of view with 10x magnification and 42-millimeter objective lenses. The fully coated optics improve clarity and light transmission. The fixed-focus operation dials in focus at any distance automatically. The housing is made of ergonomic rubber, ensuring a firm grip and shock resistance. The binoculars are very suitable for nature observation, but come with a limited lifetime warranty. All in all, we are very impressed with the clarity, quality, magnification, and ease of use of this pair of binoculars (thanks to the perma-focus feature). It is an affordable, quality product. Another Bushnell model – this item is fog- and waterproof like the others on this list, but the binoculars are shipped in a much smaller package. We like them because they don’t fog up, and this is not at the expense of quality in any way. These binoculars could be perfect for a large variety of users, but they are best for boaters. This is a definite plus, but everybody can take advantage of their weather-proof design and extras, such as an integrated compass with a light that you can see by looking through the left eyepiece. These binoculars use nitrogen for water- and fog-proofing and can float in water. They are hermetically sealed and thus waterproof, but also resistant to corrosion, which is why they’re indispensable in marine environments. They’re even recommended by the US Coast Guard, mainly because of the 7x magnification by 50-millimeter objective configuration. They also feature premium BaK-4 prisms and UV protected multi-coated optics. The Porro prism system ensures a very wide field of view. The binoculars are protected against slippage and highly durable with their non-skid rubber armor. Our final choice, the Barska Focus Free binoculars, is pretty basic, yet compact and useful. The product is also very well-priced. These binoculars are great for novices looking for good build and reliability. They feature hunting optics, a versatile design, and quality materials. If you choose these, keep in mind they can’t be adjusted for one or both eyes. On the other hand, they’re very easy to use. They are a good choice for sporting goods and for nature use, albeit not being waterproof. They’re easy to focus and provide a clear, sharp picture for everyday use. Another advantage is that they are not very bulky. They come in a very handy case. All in all, this product is great value for money. In case you have trouble focusing them, the user manual provides detailed instructions. There are two types of auto focus binoculars – one whose barrels cannot be adjusted and another that provides for separate focusing of the barrels. The first design would be better if you don’t intend to use the binoculars very often. For those who expect to use it daily, the second design will provide a significantly better view and a more pleasant experience in general. Those who will need their binoculars for extended periods of time, such as throughout a game or race or for work require a model that allows customized focus. Headaches and sore eyes are neither fun nor necessary and can be prevented by adjusting the focus for your eyes. If you want to get an auto focus binocular, we recommend that you buy one that allows for adjustment for both eyes. When using binoculars for lengthy periods, as during surveillance or while watching wildlife, and you get a headache or pain around the eye area, you probably failed to adjust the tool for small, yet significant differences in strength. How? Adjust the focus until the binocular reaches the most distant focus possible and look at an object in the distance with your right eye closed. Now, bring the focus back slowly until the object you are looking at is in sharp focus. If the focus has been over adjusted, it needs to be pushed all the way back out to the extreme again. Repeat the process until the image is sharply defined. Don’t touch the center focus knob again once this has been achieved. Now you need to go to the diopter adjustment to make the needed changes for your right eye. This can be a ring just in front of the right eyepiece, but it can be a separate knob or located on the left eyepiece. In this case, you’ll need to gently pull it out from the center focus knob. Which is better? It depends on the situation and what the purpose of use of the binoculars is. For uses like marine, astronomy, sporting events, or long distance observation in general, the user doesn’t need a close focus. Most objects are quite distant and there’s no need to keep changing focus. You don’t need to make any more changes once you have set up the binocular using the diopters on each eyepiece. In the above case, an individual eye focus binocular is a great option. On the other hand, for activities such as birdwatching, wildlife observation, or other general uses, a binocular with a central focus mechanism would be a far better option. This is because a user needs to be able to shift the focus quickly from viewing a bird in a nearby bush to viewing a deer in a field far away or the stars. Our top choices are dominated by the Celestrons, but they are far from the only good brand on the market. They excel thanks to their countless features, the quality of design, and their universal appeal. We hope you found this review helpful and are now better able to make an informed choice.